Are you showing signs of this disease? Struggling to sleep and experiencing shortness of breath? Are your feet, hands or ankles swelling up and do you need to get up in the night for a wee? Then you could be showing signs of a disease affecting the lives of three million Brits. 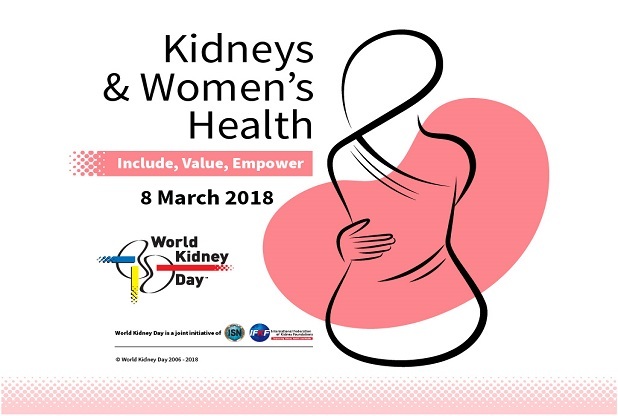 Today (Thursday, March 8) is World Kidney Day, a global event to raise awareness of chronic kidney disease (CKD) which can lead to kidney failure, fatal without dialysis or transplant. Dr Helen Collinson, a consultant nephrologist at Hull University Teaching Hospitals NHS Trust, said around one third of the three million with CKD have no symptoms. However, it is essential people recognise symptoms so they can be tested for kidney disease and given treatment as early as possible. “Early diagnosis means we can start helping people quickly and they can make changes to their lifestyles which will slow down the progression of the condition,” she said. Is there a history of kidney disease in your family? Then, you’ve got an increased risk of developing the condition yourself. There’s also a greater risk of developing the condition if you’ve already got diabetes, high blood pressure and heart disease. And your chances of chronic kidney disease are higher if you’re overweight and obese. People from a black, Asian or ethnic minority background also have an increased risk. What should I do if I’m at increased risk or I’m showing symptoms? Go to your GP and ask for a kidney function test. It’s usually a blood test measuring the levels of a waste produce called creatinine in your blood. Your age, gender and ethnic group are used as part of a calculation to work out how many millimetres of waste your kidneys are filtering. If it’s lower than 90ml a minute, you could have kidney disease. What if I’ve got kidney disease? Hull University Teaching Hospitals NHS Trust has a great renal service which is recognised for its excellence in helping and supporting patients with CKD and kidney failure. Hull has a dedicated kidney unit at Hull Royal Infirmary, with main haemodialysis unit on site and satellite haemodialysis units led by nurses in Bridlington, Grimsby and Scunthorpe and patient outreach clinics at Bridlington, Goole, Grimsby and Scunthorpe. Medication can be used to treat your condition and you can slow down progression by making sensible changes to your diet and lifestyle. 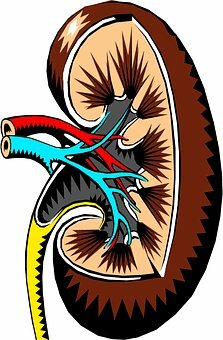 If your kidneys fail, you’ll require dialysis or a transplant. What can I do to reduce my chances of developing kidney disease? You can reduce your risk by simple changes to your lifestyle. Stop smoking, reduce the amount of salt and saturated fats in your diet, take regular exercise, drink plenty of water and maintain a healthy weight. The same lifestyle changes can also help a person already diagnosed with CKD to slow down the progression of the condition. Dr Collinson said: “There are steps people can take to improve their lifestyles to reduce their risk of developing kidney disease in the first place.